. Published on March 19, 2018 . Found a passion – but hit a sticking point? Wondering whether to give up or push through? 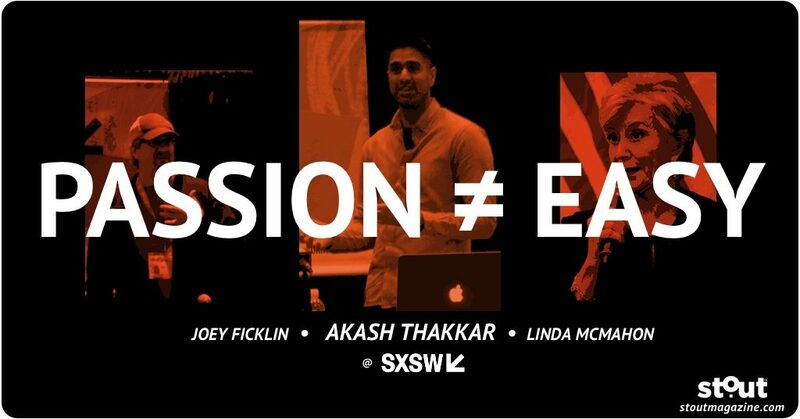 Use the advice and tools from SXSW featured speaker Akash Thakkar to decide. Need more? 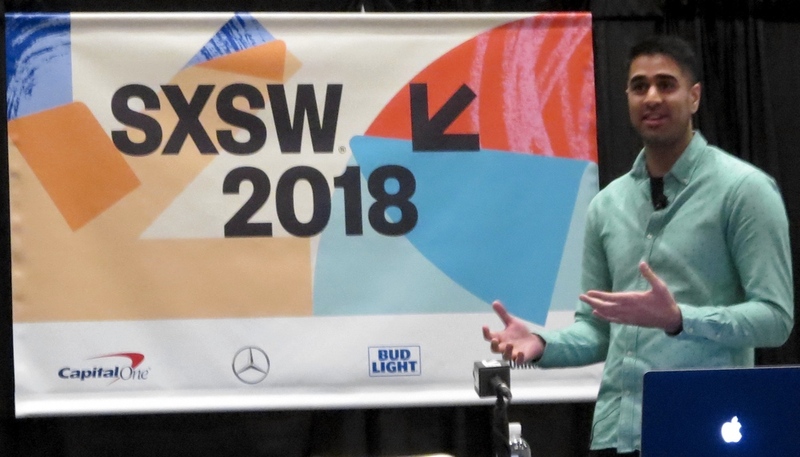 Stout brings you two real-life “should-I-stay-or-should-I-go” experiences shared by other SXSW presenters. There are a lot of dreams at SXSW, the annual creative and thought-leader convergence festival held in Austin, TX. Some are realized, but most are in a stage of metamorphosis – no longer a caterpillar, but not yet a butterfly. One thing that those dreams all have in common is that they started with a passion for something. A spark of desire kindled the flame of pursuit – of a product, an idea, a change. Passion is imperative to get started on a journey, but it can be fickle. Why? Because one of the biggest myths about passion is that it should make things easy – and the truth is anything but. At some point, says Thakkar, things are going to feel like work, no matter how powerful the passion that put you on a particular path was when you began. This is where the self-doubt creeps in, where the questions begin to form. People who buy into the myth of “passion = easy” tend to flit from passion to passion, chasing something new every time their current pursuit becomes hard. And the truth is, there are some times that it does make sense to quit. But it’s often hard to know where or when to draw that line. Consider two SXSW presenters. 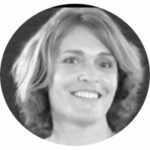 One, Linda M, had a passion for her family’s business, and wanted to expand their scope and fortune. Another, Joey F, was so inspired by his time spent at Burning Man that when Hurricane Harvey struck Texas, he started on a mission to provide relief using his unique expertise as a maker of things. Both of these people had a strong desire to succeed, and knew what they wanted to pursue. Both hit roadblocks along the way, and things got tough. They had reached pivotal points in their efforts, and needed to take stock. So how do you know when you should keep pushing, and when it’s time to move on? Who or what am I trying to influence? Do you have a clear goal of what you are trying to accomplish? If you don’t know why you’re doing something, it is a dead end. Is there any upward trajectory or long-term potential? Thakkar advises that you should never quit something with great long-term potential because of short-term stress. How’s my progress? If you are truly putting in the time and effort and nothing is happening, Thakkar says it’s quitting time. But it’s hard for people to evaluate their own efforts honestly – he recommends asking other people how they see your commitment. Am I panicking? If the answer is yes, says Thakkar, do not quit. A state of panic is a poor time to make decisions. Regroup first, and then reevaluate. Are you excited about what’s next? Sometimes, there is dissatisfaction even when things are a success. If that is the case, look to what comes next. Does it inspire you? If not, it’s time to move on to something else. So what about Linda and Joey? 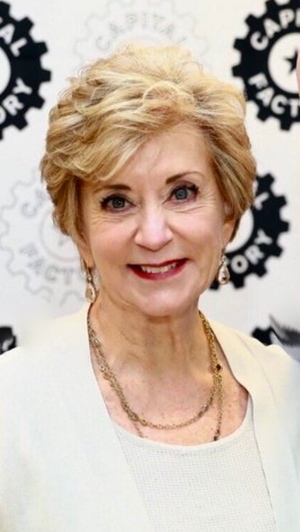 Linda McMahon, co-founder & former CEO of WWE and current Administrator of the U.S. SBA. Both of these SXSW presenters were passionate about what they were doing. Their results, however, were very different. Linda McMahon, current leader of the SBA and former CEO and president of wrestling empire WWE, spoke on going “From Bankrupt to Billionaire”. After literally losing all their money in a bad investment, she and her husband stuck with the wrestling business, leveraging down to the last second to keep going. 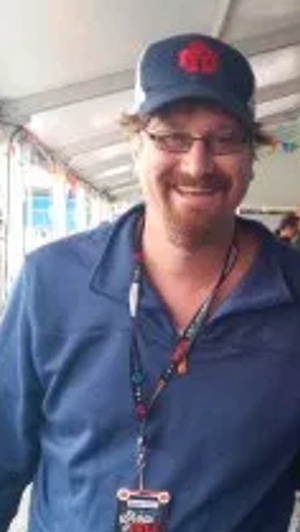 Joey Ficklin, trade carpenter and director of Maker Faire Austin, presented “How I Failed at Disaster Relief”. His desire to organize disaster relief revolving around the makers’ community was never realized, for a variety of reasons. The key differences between their success and failure when it came to following a passion was knowing when the struggle is too much versus when to push through, and what the long-term upside was. McMahon said to the packed auditorium listening to her story, “It’s not how you fall, it’s how you get up.” But it’s equally important to know whether you should even get up or not. Give It Time – But Not Too Much. Know when to quit before you start by setting parameters ahead of time. Don’t Overthink Things. Goal orientation can be detrimental to success. People who barrel ahead without thinking too hard often are the ones who break through. Watch for “Survivorship Bias”. Too often, when people succeed, all that’s discussed is their passion, not doubts they had along the way. It’s never as easy or pure as it looks. Talent Can Work Against You. Thakkar’s belief is that when people are used to everything being easy, they tend to shatter at the first sign of rejection. Grit and resilience matter more in the long run. NEVER Quit Your Health. There are things you should quit. But don’t cut corners on self-care in pursuit of a passion. If you don’t have your health, you can’t feel good doing anything. Passion isn’t always enough to keep going, and struggle isn’t always a reason to quit. Stout offers these additional takes on passion, struggle and the importance of health – see what insights they offer you. And stay tuned next week as we wrap up our SXSW coverage with the reveal of an exciting new American purpose initiative, and a final look at the power of convergence.